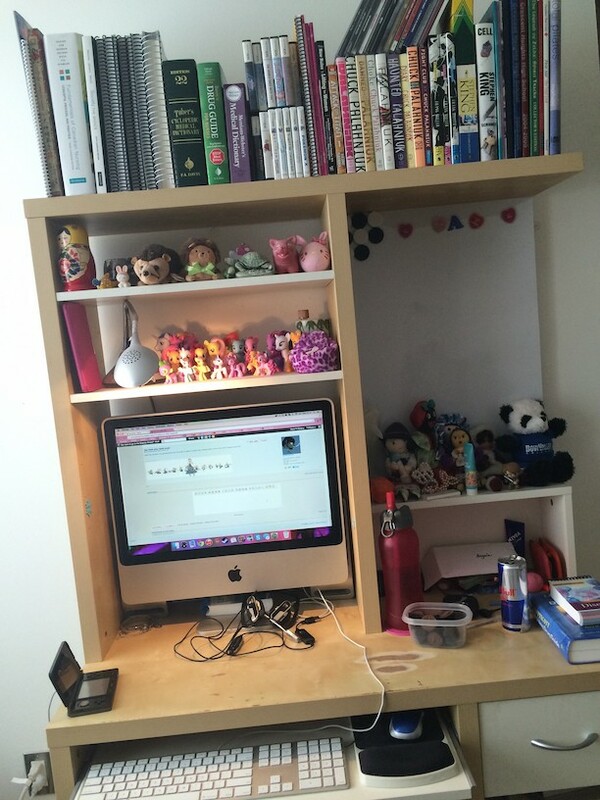 I like doing this because for most of us our desk is our home! 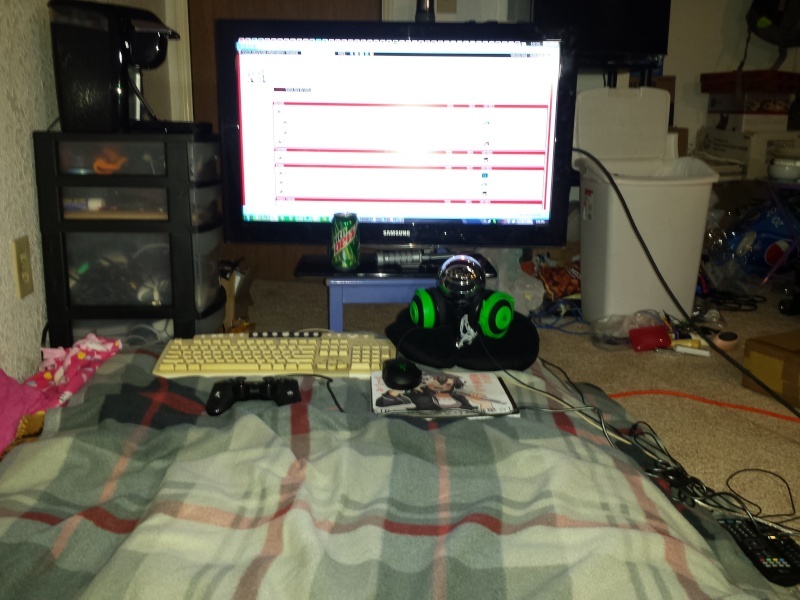 Post pictures of your desks! NOTE: Please use the spoiler tag. Also if the image is too big in size you can make the Width and Height smaller. It works! 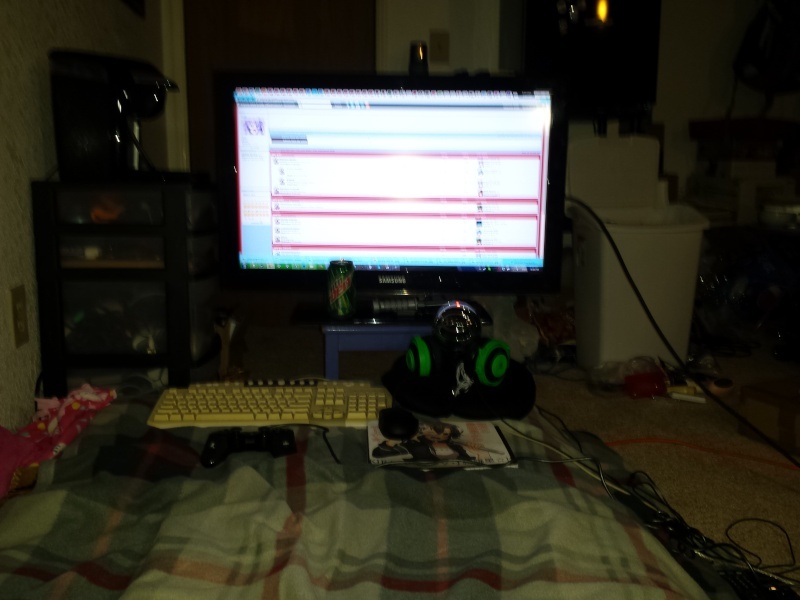 Wish I had a desk. @Taizong wrote: Wish I had a desk. 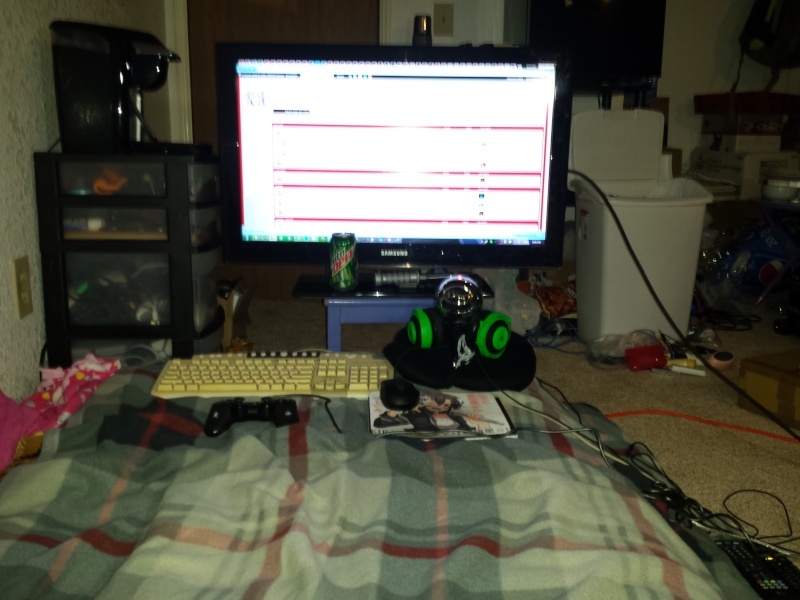 It doesn't have to be a desk. It's mainly wherever your computer is. I'll clean up one day. 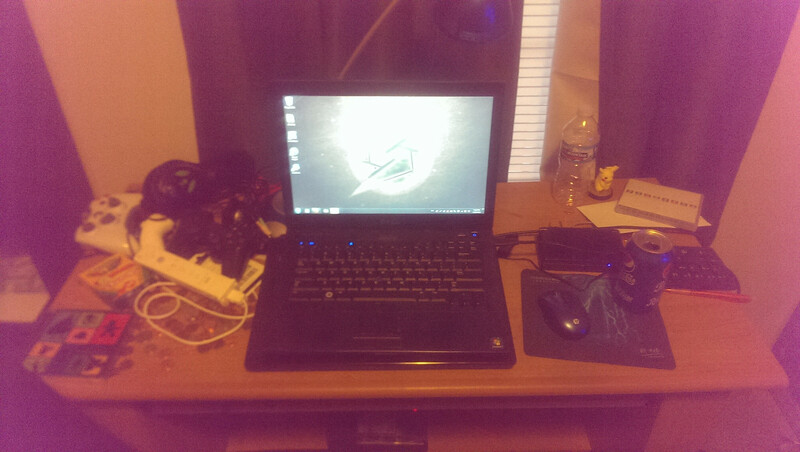 Also my real desk in my room is used to study without people walking in. And hold my Gundams. whoa, what kind of keyboard is that, fanatic? looks neat. Corsair K70 RGB, you can program all the colours so the profile I use at the moment is a rainbow that travels across. @Miomeo wrote: My natural habitat! 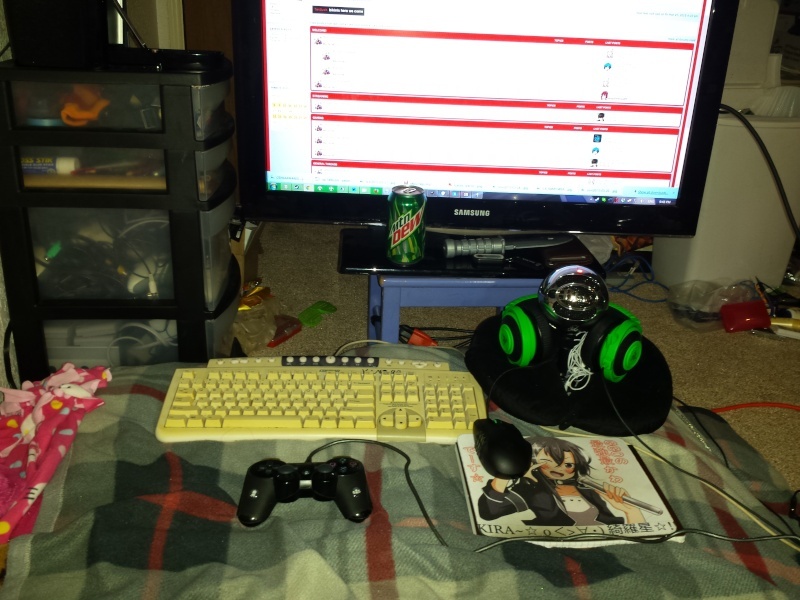 Wow that desk is actually pretty cluttered. And I thought mine was full of things! 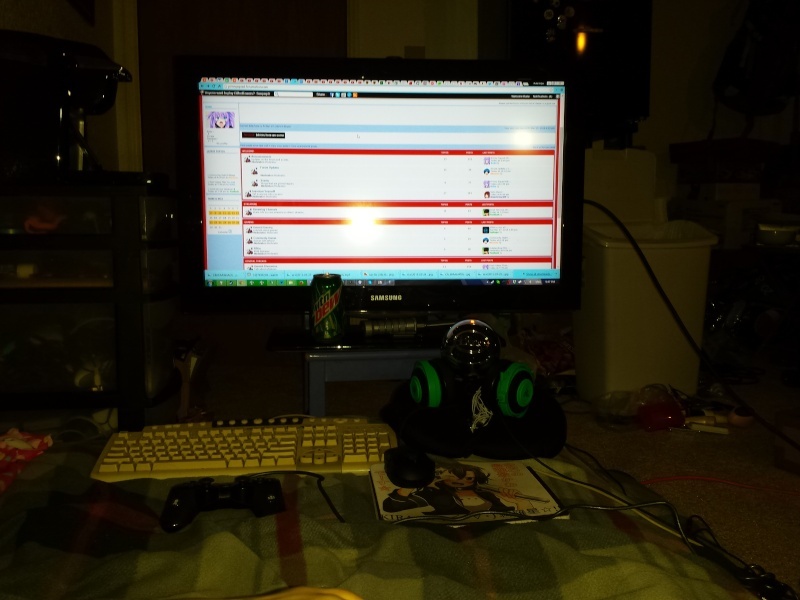 Although of my room was all put in one place it'd probably look like this. Is the rest of your room pretty clean or nah? WOW WHAT ARE YOU TRYING TO SAY? 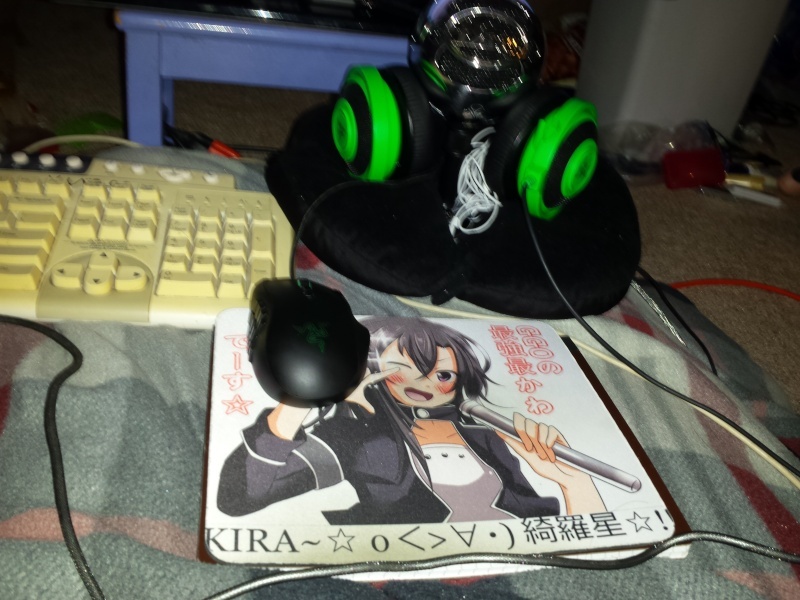 At some point I'd like to get a different desk for more room but I think I'd just end up putting more random crap on it. 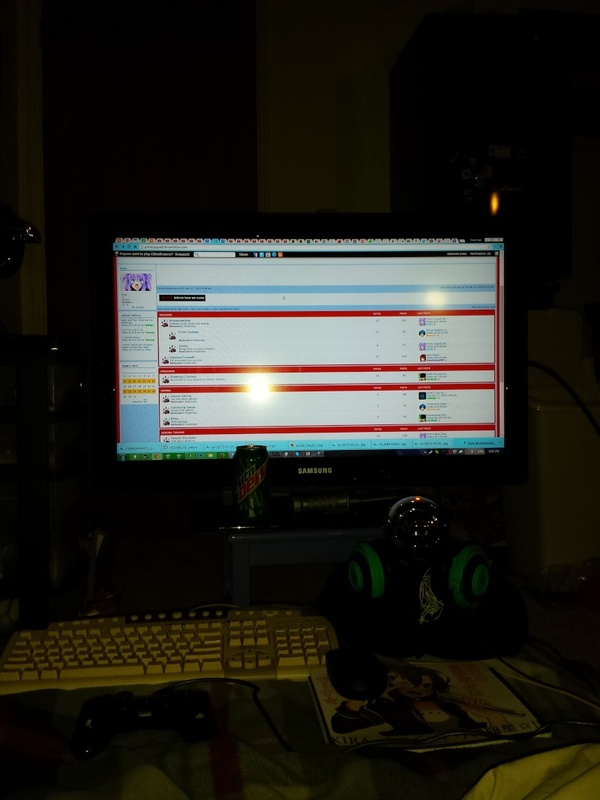 Funny thing is I don't actually have a monitor of my own, my 'main' screen is my 29" tv, & the 19" monitor beside it is one my roommate is letting me use for now. @RobSnowlock I thought I replied to this but maybe the post bugged out. I think I used to use a mouse like that in college. It was extremely comfortable! 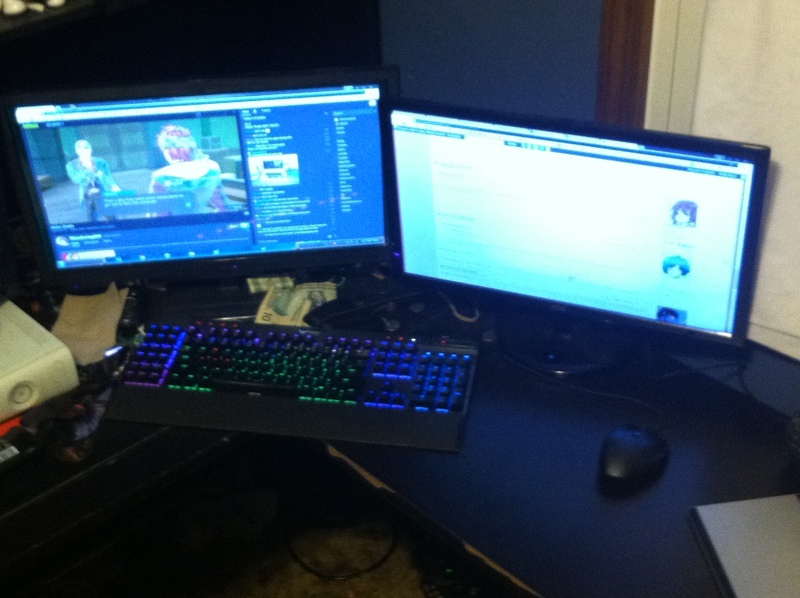 Also that almost looks like the keyboard I have as well. Needless LCD Screens, yeah! 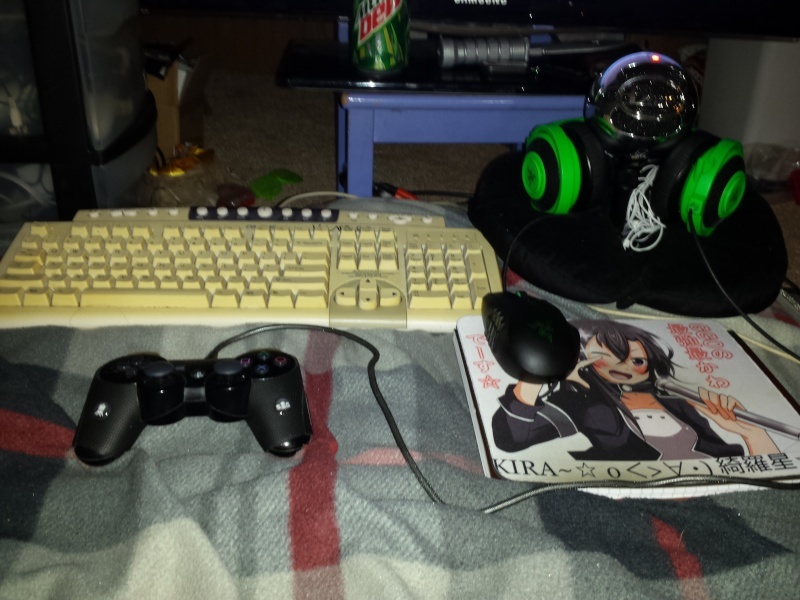 Yeah the wireless mouse/keyboard set I've had for about 4 years now. Always been a fan of the stuff Logitech puts out. 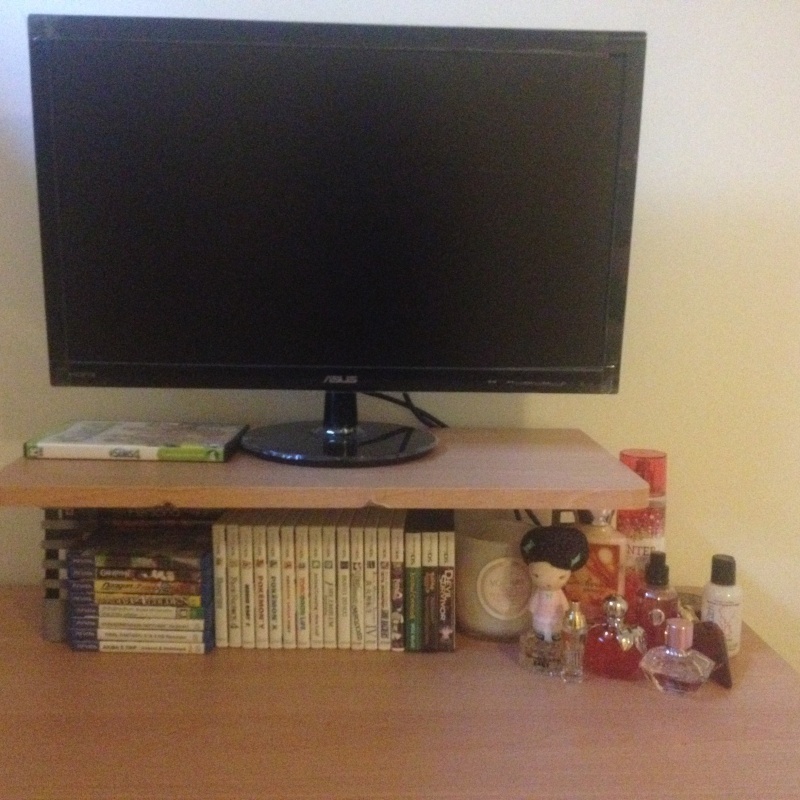 Your desk is so small but tidy. 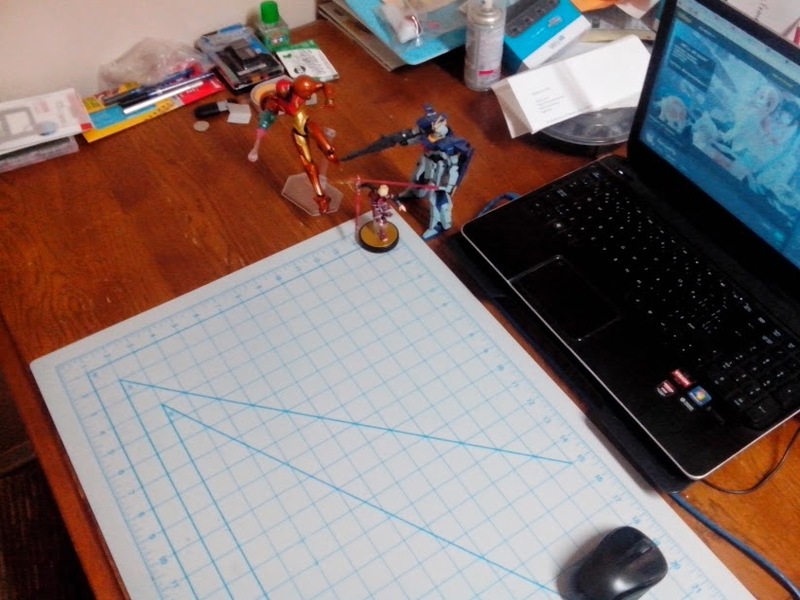 If I had a desk like this I would be able to legit put my figures around instead of plastering them around randomly. Shelves are the future my friend! @Epilog Oh that's almost the same mic I have! 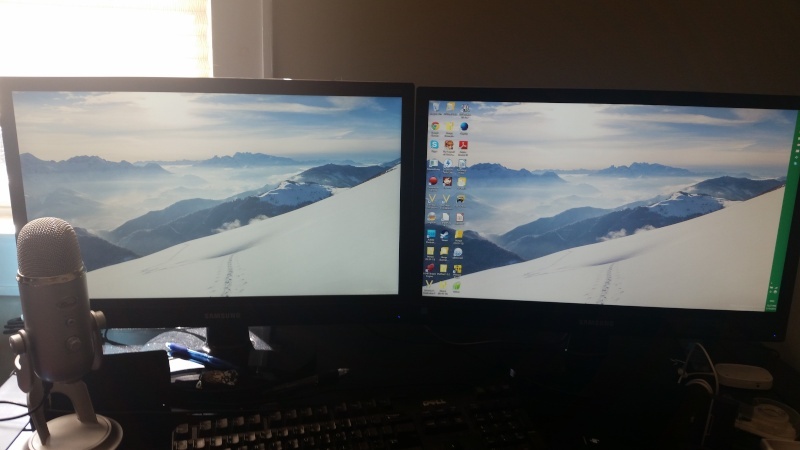 @WanderingWlf which mic do you have your mic looks like the Blue yeti, same as mine? The picture is horrible quality. I'm sorry!